The woman was charged with multiple attacks on her maid which the judge described as “repugnant to all notions of common humanity”. 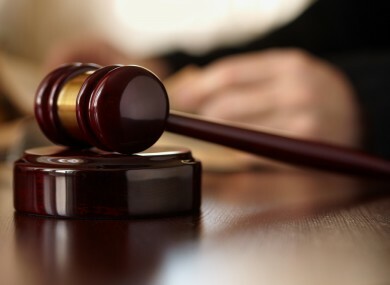 A SINGAPOREAN WOMAN was jailed for 21 months yesterday for repeatedly abusing an Indonesian maid with attacks described by a judge as “repugnant to all notions of common humanity”. District Judge Low Wee Ping said the violence inflicted by Chan Huey Fern on her helper was one of the “most distressing” cases of maid abuse in the city-state, the Straits Times said. “Chan Huey Fern was sentenced to 21 months’ imprisonment today,” a district court spokeswoman told AFP. Local media reported that Chan, 32, was convicted of five cases of maid abuse and that the offences took place in December 2010. In mid-December, Chan punched the 25-year-old maid in the eye when she felt sleepy while taking care of Chan’s two young children, the Straits Times reported. Twelve days later, the maid said Chan attacked her again for not monitoring her son’s temperature, pushing her head against the edge of a toilet doorway and kicking her private parts. On December 31 that year, Chan lashed out again when she found her son’s blanket on the floor in the children’s room, kicking her maid repeatedly in the body, the report said. She called the maid to the kitchen and resumed the abuse – raining kicks on her body and groin area causing her to bleed, the report added. It said the maid fled from the house that day, fearing more torment. “Your abuses were systematic. What you have done to a helpless domestic helper, is repugnant to all notions of common humanity,” the Straits Times quoted the judge as saying. Public prosecutors said aggravating factors for a severe sentence included the seriousness of the maid’s injuries and the fact that Chan showed a lack of remorse, the report said. Chan had denied the charges, telling the court that the maid’s injuries were self-inflicted. She is appealing the conviction and sentence. More than 200,000 women, many of them from impoverished villages in Indonesia, the Philippines, India, Myanmar and Bangladesh, work as domestic helpers in affluent Singapore. Email “Woman jailed after kicking maid's 'private parts'”. Feedback on “Woman jailed after kicking maid's 'private parts'”.